The initial infection vector leveraged by GoScanSSH was likely an SSH credential brute-force attack against a publicly accessible SSH server that allowed password-based SSH authentication. In this particular series of attacks, the attacker was leveraging a word list containing more than 7,000 username/password combinations. 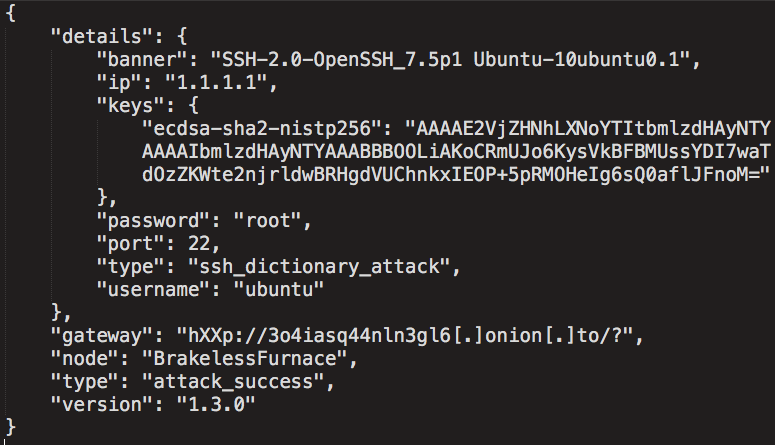 Once the attacker has discovered a valid credential set that allows successful SSH authentication, a unique GoScanSSH malware binary is then created and uploaded to the compromised SSH server. The malware is then executed, thus infecting the system. Additional details regarding the specific operation of the GoScanSSH malware and available functionality found within this malware can be found in the following section. GoScanSSH is a malware family written using the Golang (Go) programming language targeting Linux systems. 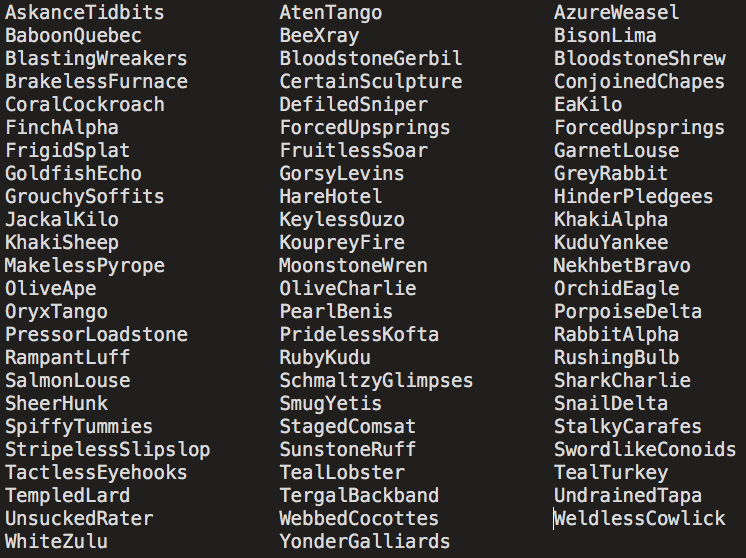 During the course of our analysis, Talos discovered more than 70 unique malware samples associated with the GoScanSSH malware family. 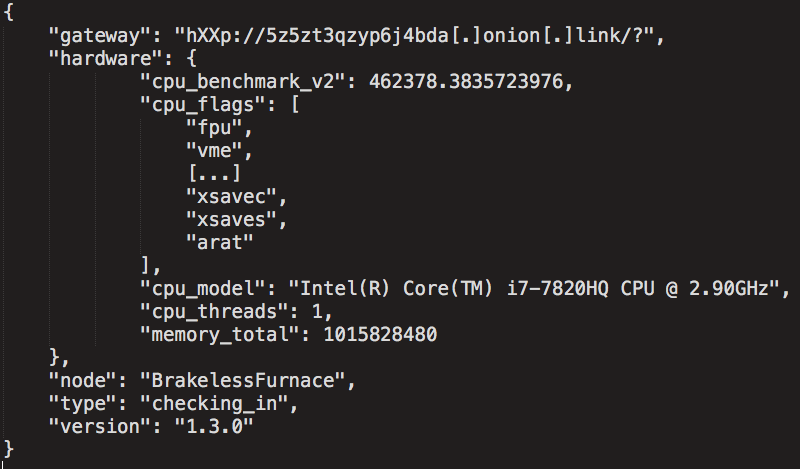 We have observed examples of GoScanSSH samples that were compiled to support multiple system architectures including x86, x86_64, ARM and MIPS64. While analyzing the MIPS64 version of GoScanSSH, Talos identified a thread where a Ubiquiti Enterprise Gateway Router user found the malware running on their router, indicating that this malware is also being distributed and executed on a variety of device types. Talos has also observed multiple versions (e.g, versions 1.2.2, 1.2.4, 1.3.0, etc.) of this malware active in the wild, indicating that this threat is continuing to be actively developed and improved upon by the attackers. These domains are being accessed using the Tor2Web proxy service. This service allows systems on the standard internet to access resources hosted on Tor without requiring the system to install a Tor client. Talos has observed malware making increased use of these proxying services as described in a blog post here. By leveraging Tor2Web, attackers can host their C2 infrastructure within the Tor network, without requiring them to include additional Tor functionality within their malware. The communications between the compromised host and the C2 infrastructure are authenticated to ensure that the compromised hosts cannot be hijacked. To implement this, the messages transmitted between infected systems and the C2 servers are encrypted with AES encryption using randomly generated secret keys. The secret keys are also encrypted using RSA asymmetric encryption. The RSA public key is hardcoded within the malware binary. The encrypted secret key and the contents of the JSON being transmitted are concatenated and base64 encoded. This is then sent to the C2 server as the URI portion of an HTTP GET request. Prior to initiating SSH scanning activity, the malware waits for the C2 server to respond to the aforementioned HTTP GET request with the SHA256 hash of the JSON data structure associated with the "checking_in" message. If this has not been received, the malware implements a sleep function and will retry this process. Using Investigate from Cisco Umbrella to analyze DNS requests attempting to resolve a single C2 domain from the ones listed above, Talos identified a marked increase in attempts to resolve it, which may be indicative that the number of compromised hosts is continuing to increase. 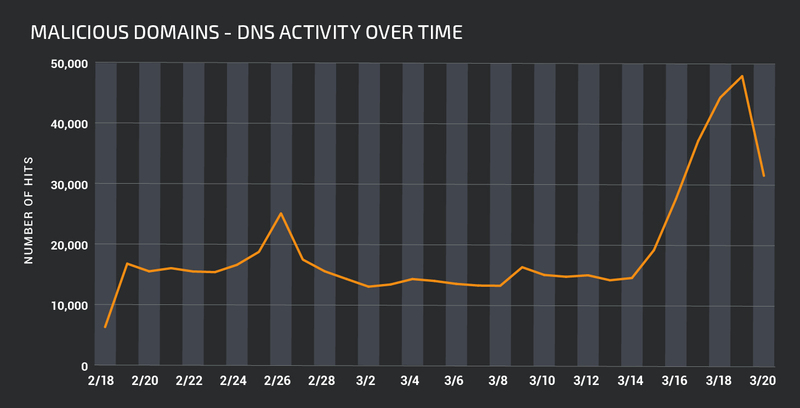 In analyzing passive DNS data related to all of the C2 domains collected from all of the samples Talos analyzed, resolution attempts were seen dating back to June 19, 2017, indicating that this attack campaign has been ongoing for at least nine months. Additionally, the C2 domain with the largest number of resolution requests had been seen 8,579 times. The full list of the 250 domains that Talos identified as related to this ongoing activity can be found in the Indicators of Compromise (IOC) section of this blog. One of the main functions the GoScanSSH malware performs is scanning and identifying additional vulnerable SSH servers exposed to the internet that can be further compromised by the attacker(s). This is performed by first randomly generating an IP address, avoiding special-use addresses. It then compares the IP address to a list of CIDR blocks that the malware will not attempt to scan. The contents of this list are network ranges primarily controlled by various government and military entities, specifically avoiding ranges assigned to the U.S. Department of Defense as listed here. Additionally, one of the network ranges in the list is assigned to an organization in South Korea. If the selected IP falls into these network ranges, it is discarded and a new IP address is generated. The malware then attempts to establish a TCP connection to the selected IP address on TCP/22. If the connection is successfully established, the malware will then perform a reverse DNS lookup to determine if the IP address resolves to any domain names. If the reverse DNS lookup returns a domain, it is compared against a list of domains related to various government and military entities. If the domain matches any of the entries on the list, the connection is terminated, the IP is discarded and a new one is generated. A list of the CIDR blocks and domains included in this process can be found in Appendices A and B.
Talos believes the attacker then compiles a new malware binary specifically for the compromised system, and infects the new host, causing this process to repeat on the newly infected system. These attacks demonstrate how servers exposed to the internet are at constant risk of attack by cybercriminals. Organizations should employ best practices to ensure that servers they may have exposed remain protected from these and other attacks that are constantly being launched by attackers around the world. Organizations should ensure that systems are hardened, that default credentials are changed prior to deploying new systems to production environments, and that these systems are continuously monitored for attempts to compromise them. 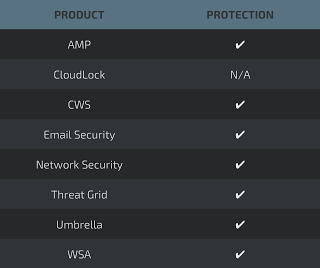 Talos is continuing to monitor and track this attack, as well as others across the threat landscape to ensure that customers remain protected as these threats continue to evolve over time. A list of binary hashes (SHA256) associated with this malware can be found here. A list of domains associated with this malware can be found here. The following list is used to determine whether the randomly generated IP that the malware uses should not be used to attempt to compromise the system. The following list is used to determine based on the results of a reverse DNS lookup whether to continue attempting to compromise the system. If the domain is in the following list, it is discarded.